In addition to food collection bins stationed at each of Wells Fargo’s 5,700 bank branches, the company is also offering customers the opportunity to donate money to Feeding America through Wells Fargo ATMs or online at wellsfargo.com/foodbank. This year’s Holiday Food Bank program also includes a pop-up food bank tour of nine cities across the U.S. So far, the Wells Fargo Holiday Food Bank already has helped provide more than 2.3 million meals at the program’s midpoint through consumer monetary donations and nonperishable food collected at bank branches and mobile pop-up food banks — nearly five times the amount collected at this point in 2017 during the company’s inaugural Holiday Food Bank. 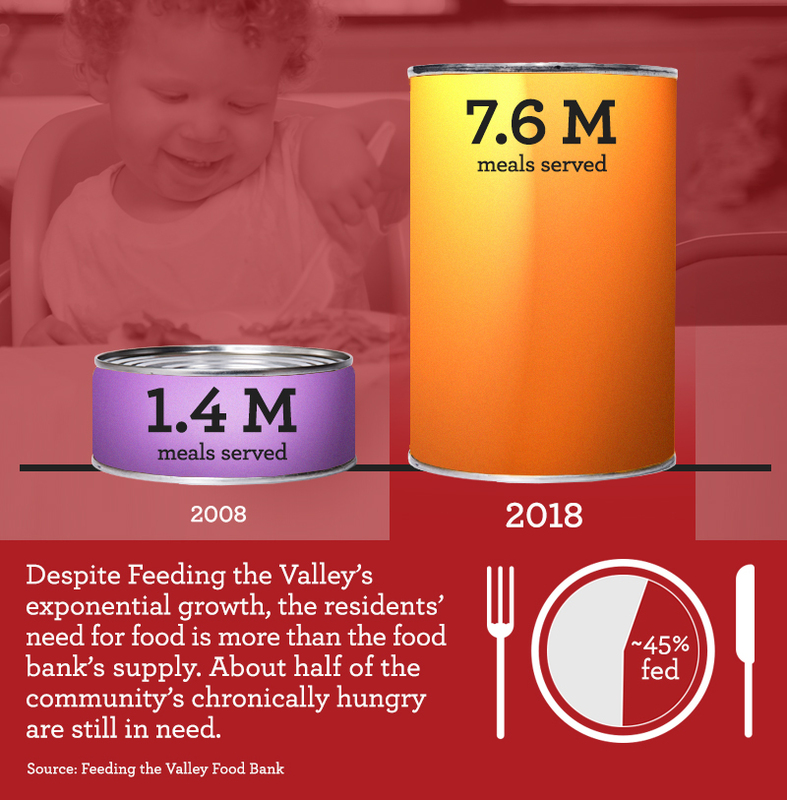 Additionally, Wells Fargo team members have logged more than 4,700 hours since the start of the program volunteering for 65 different Feeding America-member food banks.